Debut album. 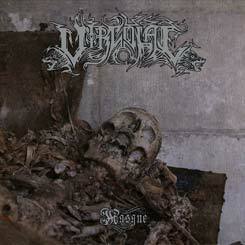 Another Polish band to your attention within the Death/Thrash realm. Instrumentally well done, musically well balanced and flowing music. There's enough aggression counterbalanced with some instrumental, atmospheric parts. Frankly, I am not a fan of this breeding but if you do, I guess this is a fair release to satisfy some tastes as the album has the pulsating thrill which such albums need.